Fall has just started and the weather may be cooling down in your area. 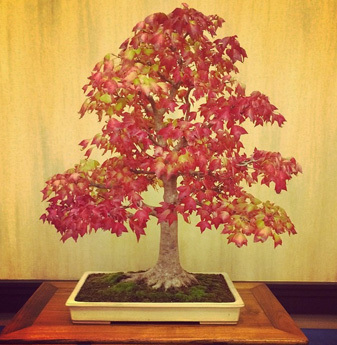 For all trees, the decrease in temperature and season change will start to affect your bonsai tree. For deciduous trees, this will mean that the leaves may change color and/or start dropping leaves. This is perfectly normal, as the trees are reacting to the temperature change and adjusting to it so that they can survive the cold season. For evergreens, the tree may not lose its leaves or turn color but the tree will slow its growth. The reason for this is to conserve its energy to survive the cold season as well. If you see any changes in your tree during this time, don't worry too much. Just check the species of the tree to see if what you are seeing is part of its normal seasonal cycle. Most of the time it's mother nature doing what it needs to do to survive.